Pyxis | Canadensys Aerospace Corp.
With Pyxis, the new responsive solution for high latitude broadband from Canadensys, the wait will soon be over. Traditional telecommunications satellites in geostationary orbit cannot provide continuous and reliable voice and data connectivity to high latitude and polar regions, and solutions based on terrestrial cellular networks are expensive and have limited geographic coverage. 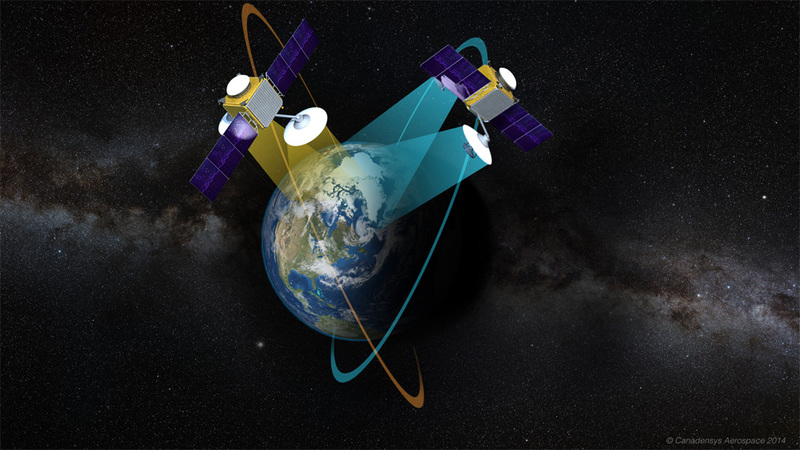 Deployed in a highly elliptical polar orbit using next generation small satellites built by Dauria Aerospace of Munich, Germany, the Pyxis solution from Canadensys will fill the high latitude broadband gap and provide continuous, reliable and affordable connectivity to users in the aviation, maritime and terrestrial markets – at a price point competitive with traditional satellite and ground technologies. Initial Pyxis services will be available in two years.